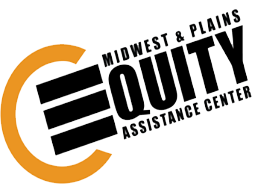 The Midwest and Plains Equity Assistance Center's Annual State Leaders’ Summit is an invitational, one-day experience, designed to engage state leaders in strategic dialogue focused on ensuring equitable education opportunities for all students and to foster cross-state collaborative partnerships. This year’s Summit will bring together Region III state-level leaders from Illinois, Indiana, Ohio, Michigan, Minnesota, Wisconsin, Iowa, Kansas, Oklahoma, Missouri, South Dakota, Nebraska, and North Dakota and scholars to participate in critical conversations about equity considerations and solutions related to stakeholder engagement. Engage in dynamic roundtable discussions with fellow state leaders and scholars to examine tensions and dilemmas related to the advantages of and complexities of engaging stakeholders in equity-focused state planning. Receive information from colleagues around the region about strategies for identification and engagement of youth, parents/caregivers, educators, and community collaborators as stakeholders in state planning. Create collegial support networks within the center’s 13-state region. Learn from a panel of leaders discussing equity considerations and leveraging opportunities for state education agencies when troubling traditional notions of community and stakeholder participation in policy development and implementation. This event is invitation only. Registration deadline is Friday, August 24, 2018.